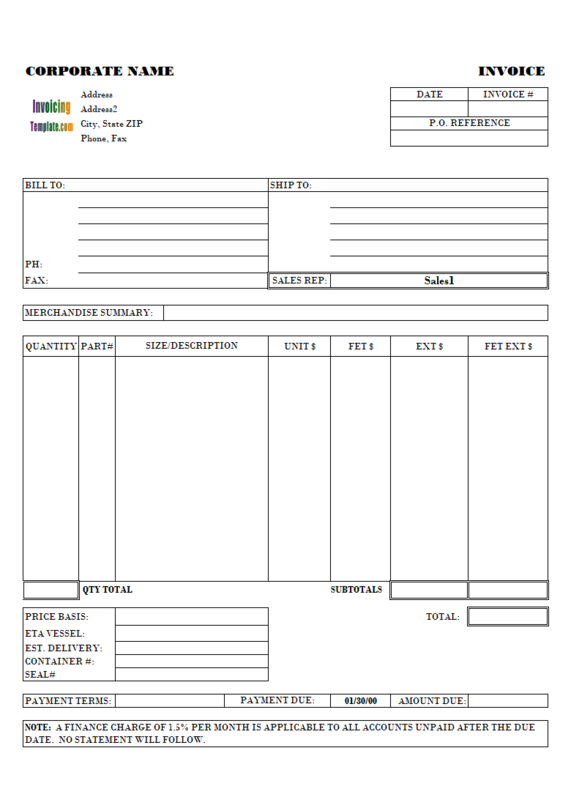 This simple billing format in Excel format demonstrates how to add credit card payment options to an existing template, could be used as a payment remittance advice slip. There is also a cardholder signature spot for payment authorization. 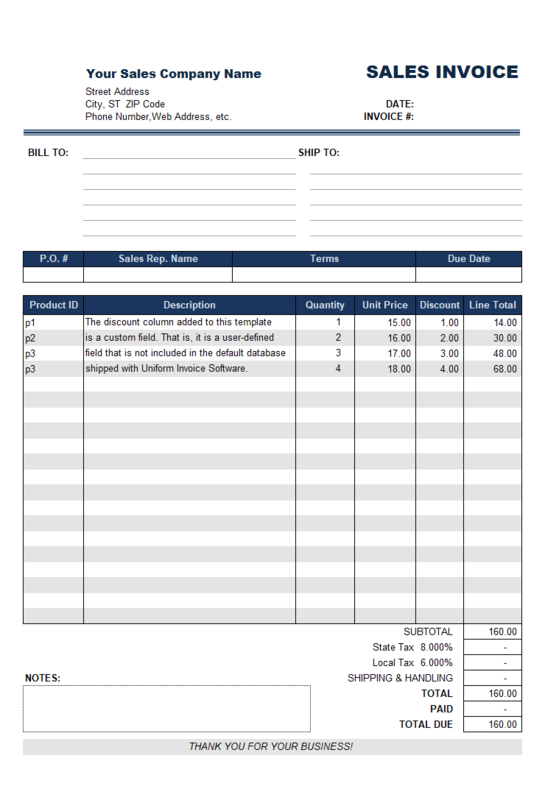 c4068 now includes the customized invoice template for the latest version of Invoice Manager for Excel. This is what you will see when you open creditcard.xlsx. 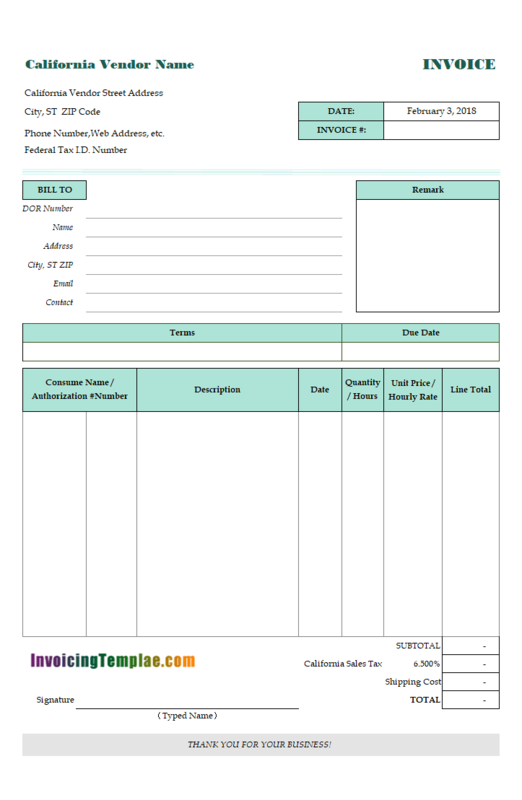 This simple billing format in Excel format demonstrates how to add credit card payment options to an existing template, could be used as a payment remittance advice slip (also visit Invoice Template with Remittance Slip). There is also a cardholder signature spot for payment authorization. 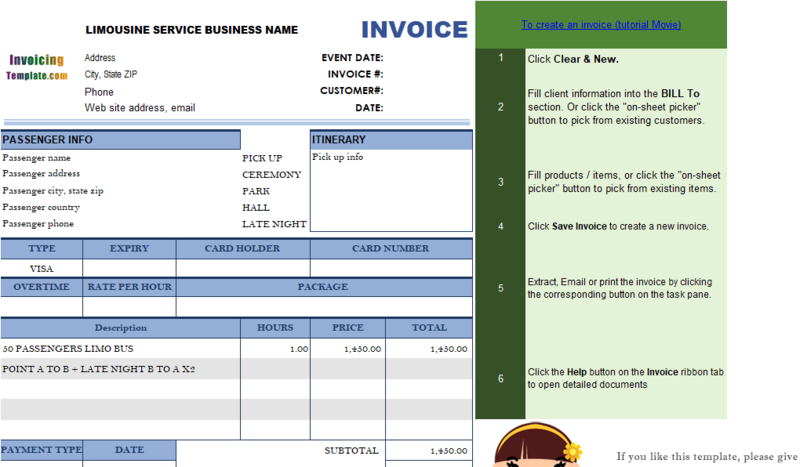 The invoice template implements options for "VISA" and "MASTERCARD", you can add other credit cards in a similar way. 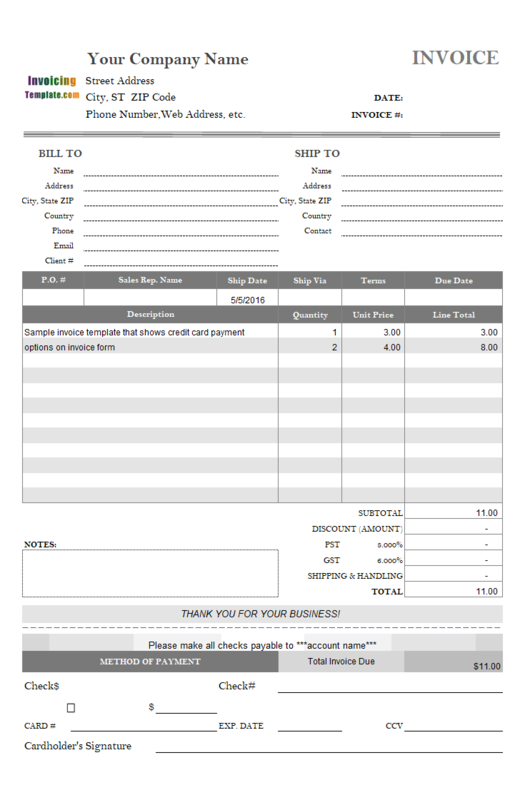 Visit Firearm Shop Invoice Template for a sample that charges credit card fee. 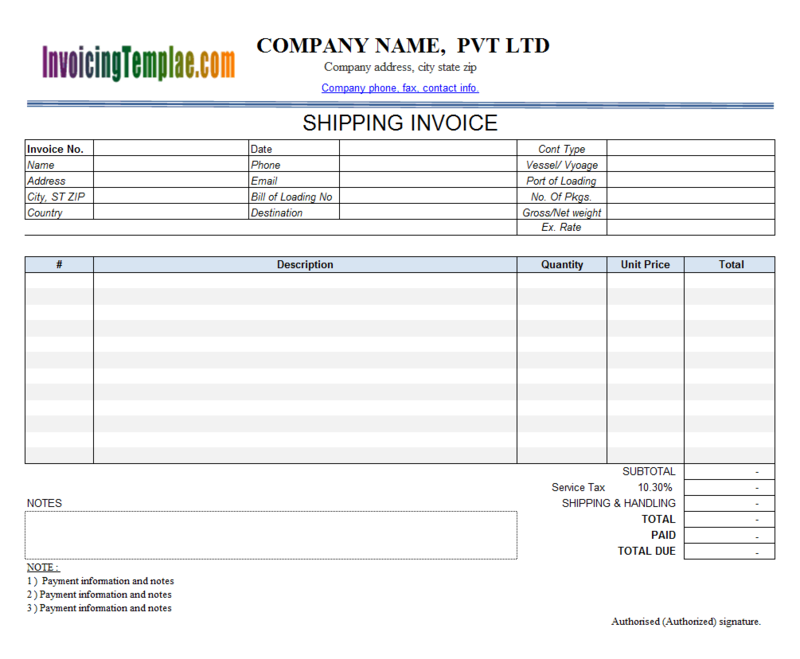 "c4068 Invoice Template with Credit Card Payment Option" was created based on c4051 Simple Invoice Template - Discount Amount Field. 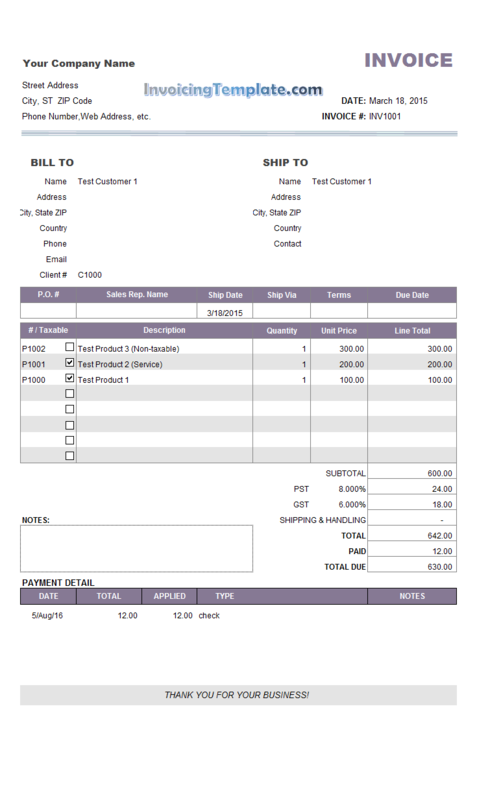 As a sample of this serial of simple invoice templates, we demonstrates one simple customization technique with each implementation of a customized template. 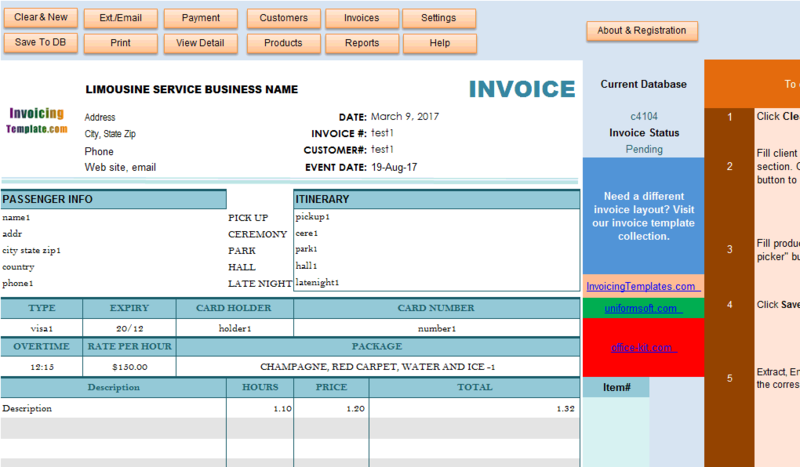 In this tutorial, we show you how to add the credit card payment option by using checkboxes on the invoicing form. 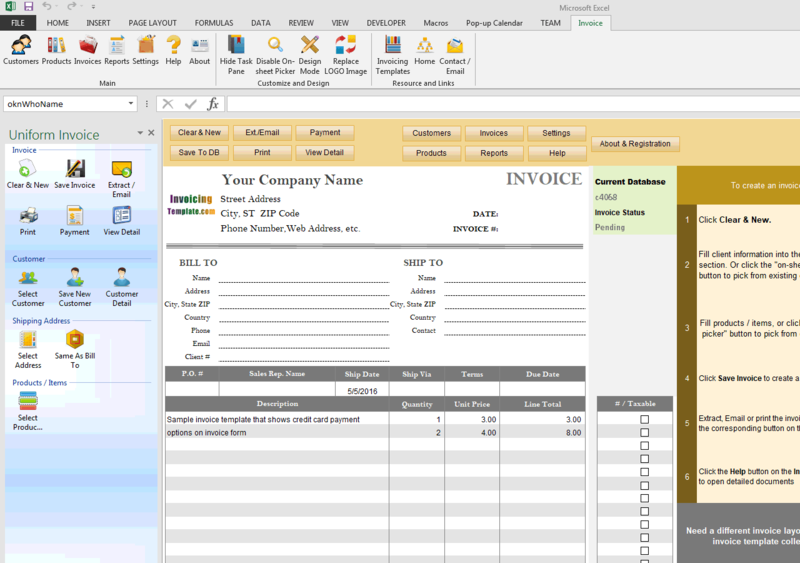 Note that all invoice templates here on InvoicingTemplate.com are able to work with Invoice Manager for Excel, which is our invoicing software app that works on Windows desktop PCs running Microsoft Windows and Excel / Office. Feel free to try the fully functional trial version, which could be downloaded here. 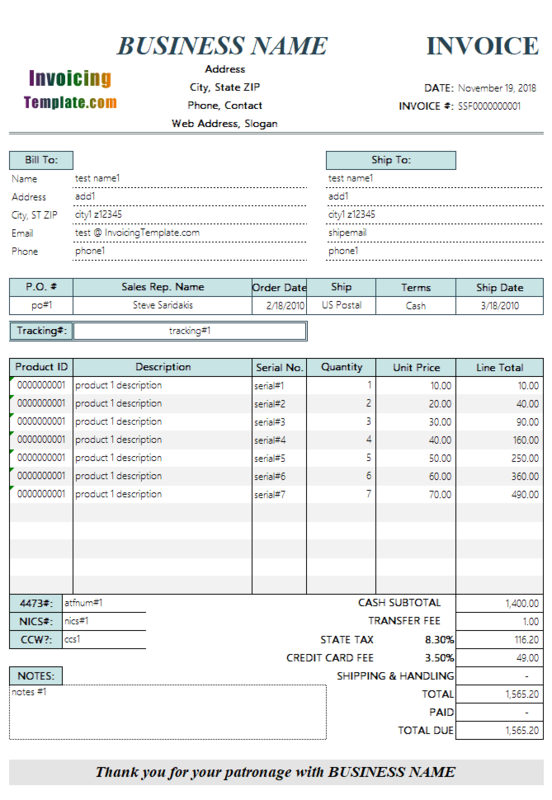 Note that by default Invoice Manager for Excel supports a payment system that allows partial payments. 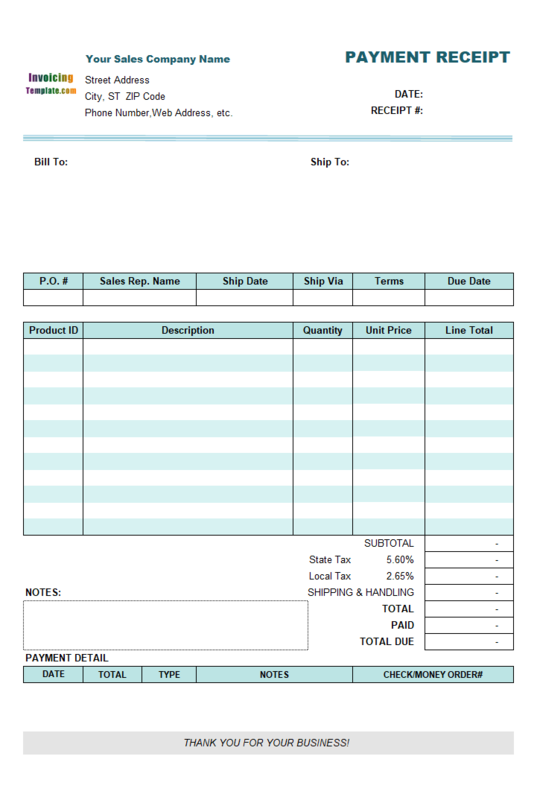 When you click "Save Invoice" command, a new invoice number is generated (the auto numbering features works when the invoice# cell is left blank), and a "New Payment" window appears where you can enter information like payment date, total payment amount, payment type, reference document# and a general purpose "Notes" field. 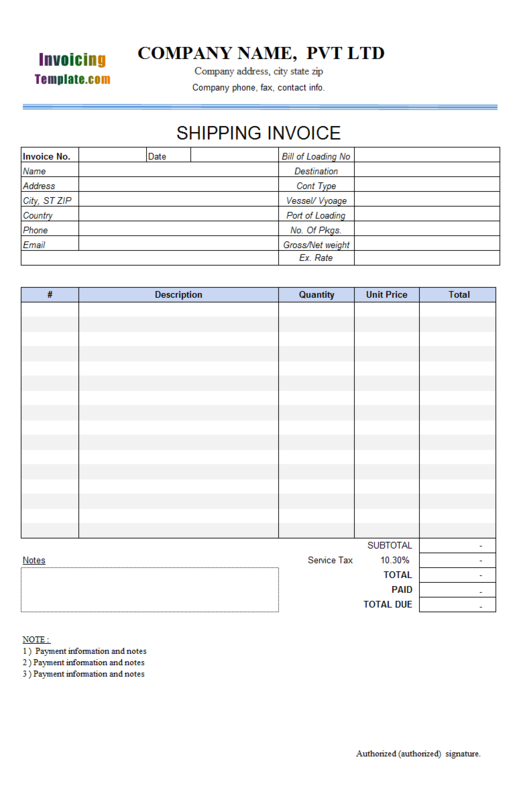 The total payment amount could less than, equals to or greater than the balance due of current invoices. 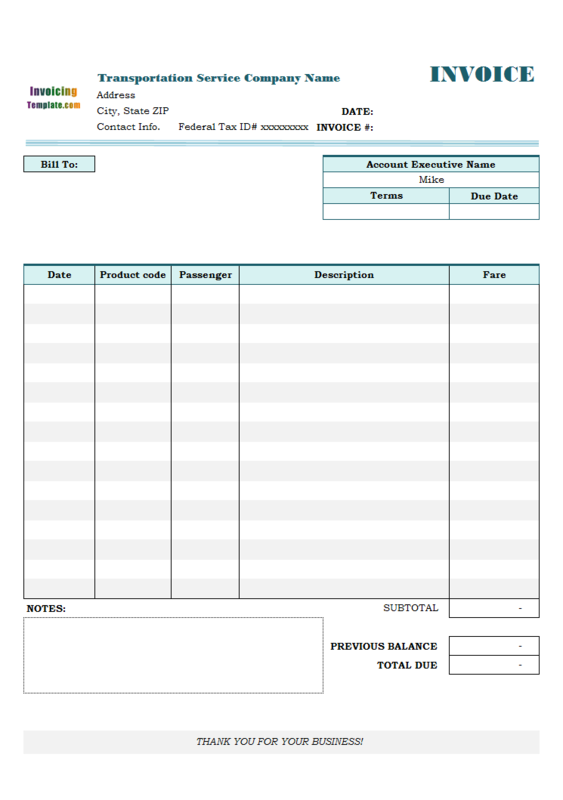 If it is overpaid, the overpaid amount becomes credit under the customer client's account, which you can apply to existing or new invoices in the further; if the paid amount is less than the balance of current invoice, the invoice is keep its status "pending", which is added to the customer's account payable. 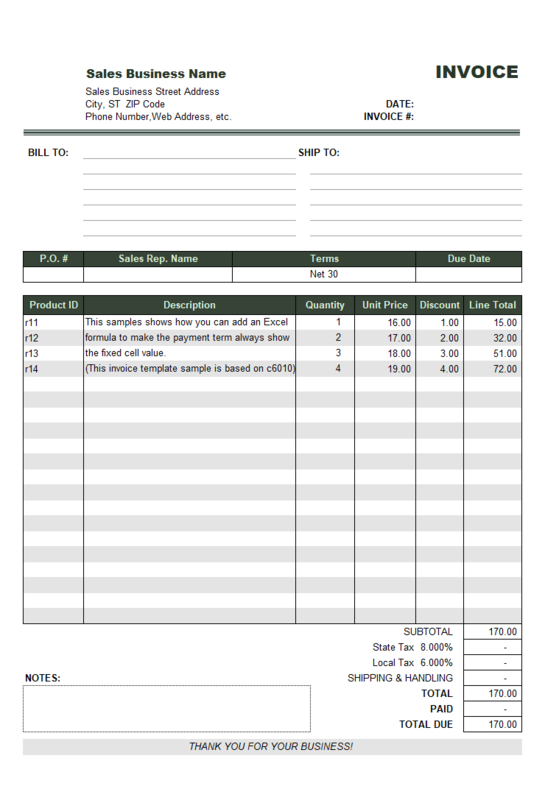 One of the advantages of this approach is that the payment report is able to show you detailed payment information. Note that in this sample, the portion starting from " Please make all checks payable to ***account name***" is designed remittance slip - i.e. the fields here, like "Check$", "Check#", "Visa", "MasterCard", "Card#", "Exp. Date", "Cardholder's signature" are not saved to database. 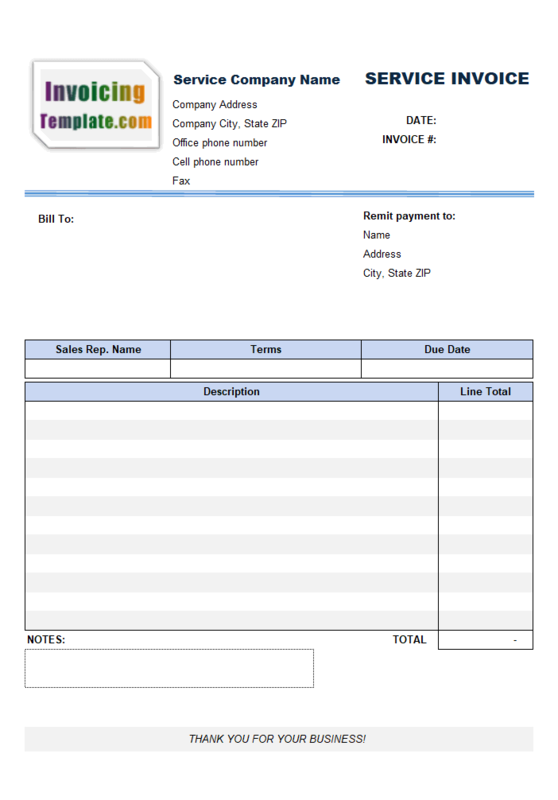 Like other form designs here on InvoicingTemplate.com, Billing Format with Credit Card Payment Option is free (offered to you at a price of 0.00USD). It works on Windows XP and all newer versions of Windows, and Excel 2007, 2010, 2013 or 2016. Removed hyperlink from the "Phone and Contacts" line. 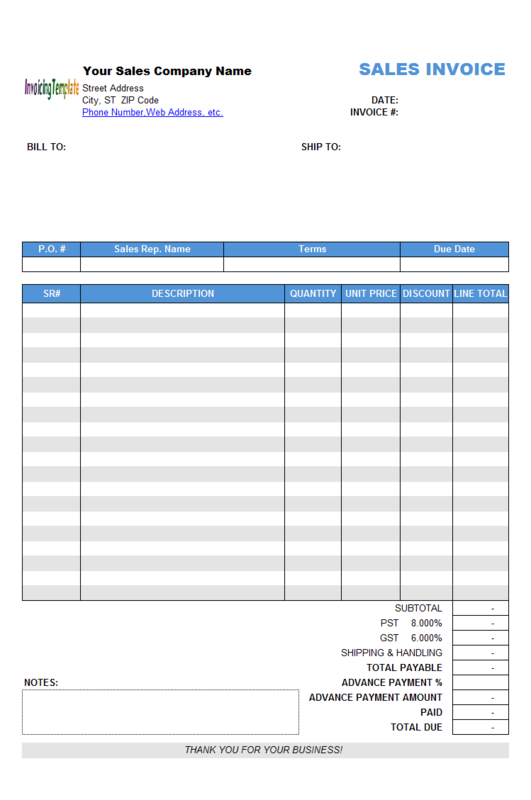 Added bottom borders to fields in the "Bill To" and "Ship To" sections.